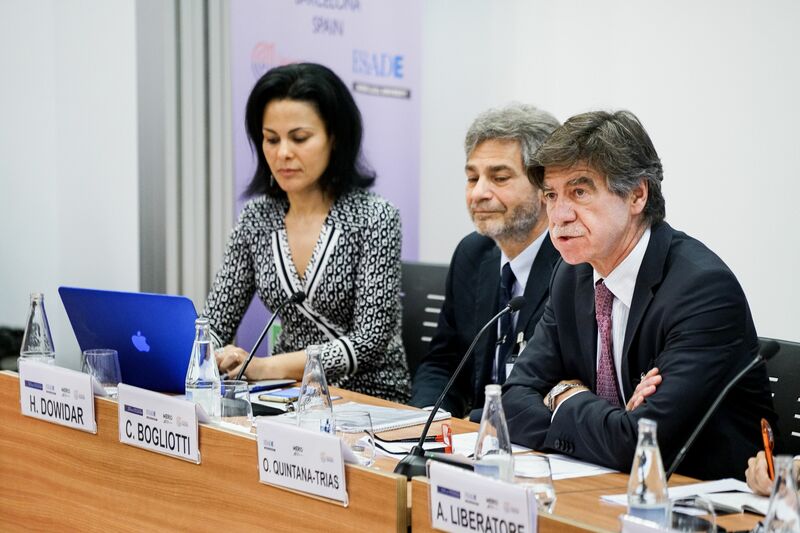 The conference was organised by ESADE and the Euro-Mediterranean University of Slovenia (EMUNI) as part of the Middle East Research and Innovation Dialogue (MERID) project, within the framework of the European Union’s Horizon 2020 programme. 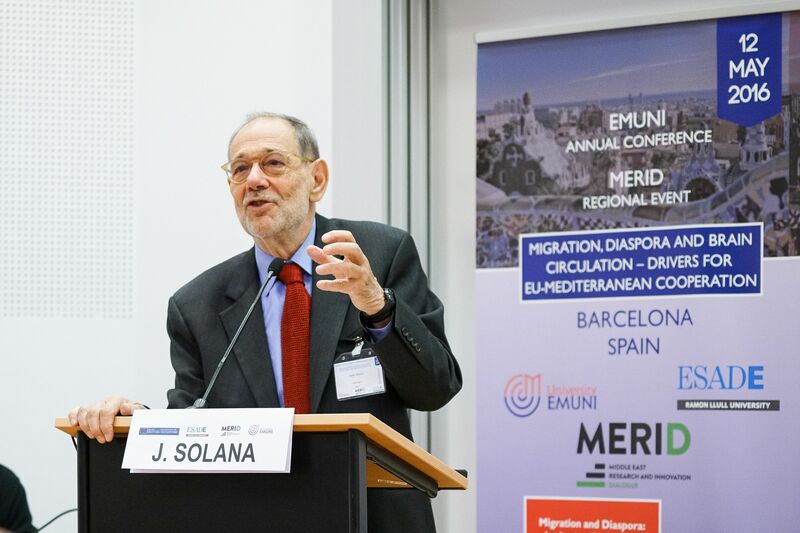 Held in Barcelona, the event featured speakers from EU countries as well as Iran, Iraq, Tunisia, Egypt, Syria, Palestine and elsewhere. The conference also highlighted the importance of education and communication, both for migrants and for the societies they join. 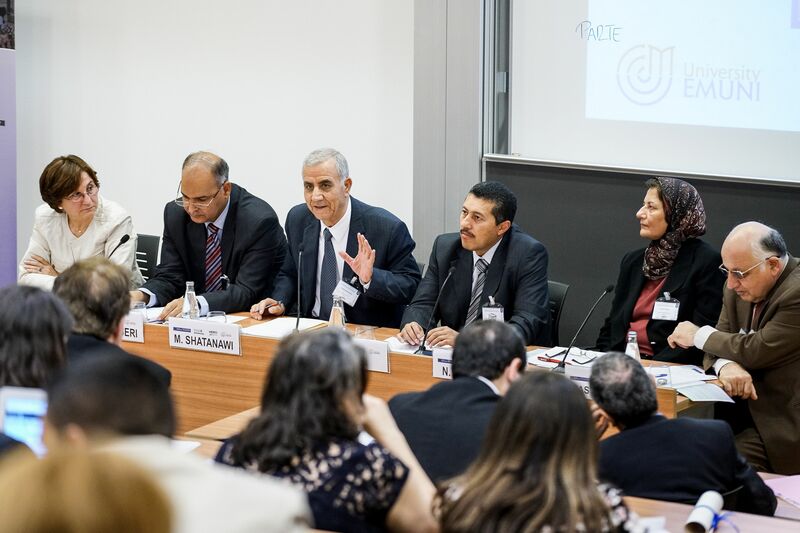 “Intercultural dialogue is the essential power that will make it possible for us to become responsible citizens,” commented Hatem Atallah, Executive Director of the Anna Lindh Foundation. He added that dialogue will help to “keep young people away from pernicious ideologies”. The speakers agreed that the management of water resources is closely linked to technology and to energy efficiency research. Nesreen Ghaddar, Qatar Chair of Energy Studies at the American University of Beirut, argued that the effects of global warming in the Middle East need to be addressed through research into innovative and efficient cooling systems. Founded in 1958, ESADE Business and Law School has campuses in Barcelona and Madrid and a presence in São Paulo, Lima, Mexico City, Bogotá, Santiago and Buenos Aires. It has partnership agreements with more than 100 universities and business schools worldwide. Each year, more than 11,000 students participate in its programmes (MBA and Executive Education, as well as bachelor’s and master’s degree programmes in business administration and law). ESADE Alumni, the school’s alumni association, is 56,000 members strong, including more than 17,500 members in management positions at enterprises around the globe. Through its 64 professional groups, the association promotes continuing education, professional development and entrepreneurship. The network includes members of 126 different nationalities located in more than 100 countries around the world, and it has been organising the project ‘Alumni Giving Back’ since 2007 – the first of its kind in Europe –, through which more than 1,500 alumni have voluntarily contributed their talent, experience and management skills to 170 third-sector companies. Additionally, the association’s investors’ network, ESADE BAN, was named the country’s best business angels network by the Spanish Business Angels Association. ESADE Business School also participates in the ESADECREAPOLIS business park, a pioneering innovation centre that brings together academia and the world of business. With a clear international orientation, ESADE is consistently ranked among the world’s top business schools by the leading rankings (Financial Times, Bloomberg BusinessWeek, The Economist and América Economía). ESADE is a member of Ramon Llull University (www.url.edu).